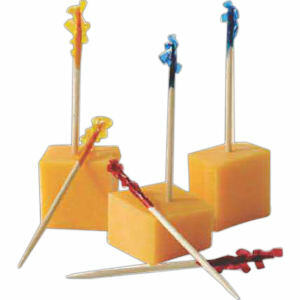 Help clients and employees avoid embarrassing food stuck in teeth incidents while in public with some custom promotional toothpicks. 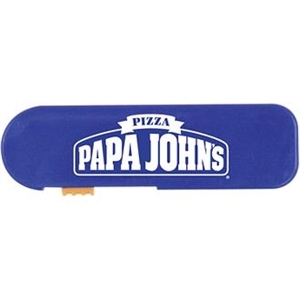 Your business will ensure that your promotional campaign is a successful one with highly useful personal promotional items such as logo imprinted toothpicks. 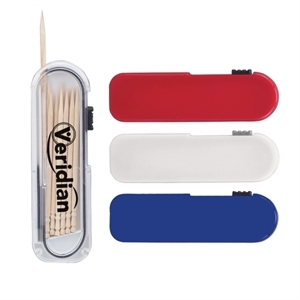 These customized toothpicks are great promotional items for wellness fairs, restaurants and cafes, clients and colleagues who travel, or anyone who’s passionate about personal hygiene. Personalized toothpicks are the last thing people grab after a meal, which means that your brand will stay in their minds. 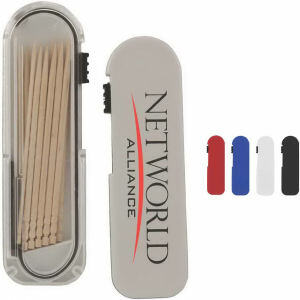 Hand out custom promotional toothpicks at your dining establishment or next marketing event. 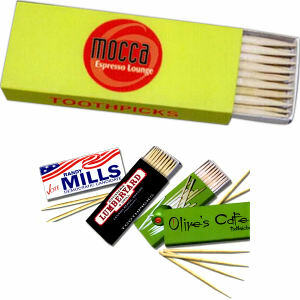 The sales representatives here at IASpromotes.com can help you personalize our imprinted toothpicks with your corporate name and logo in an attractive design. 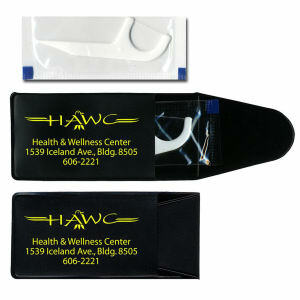 This is one promotional item that will always be useful for years and years to come!